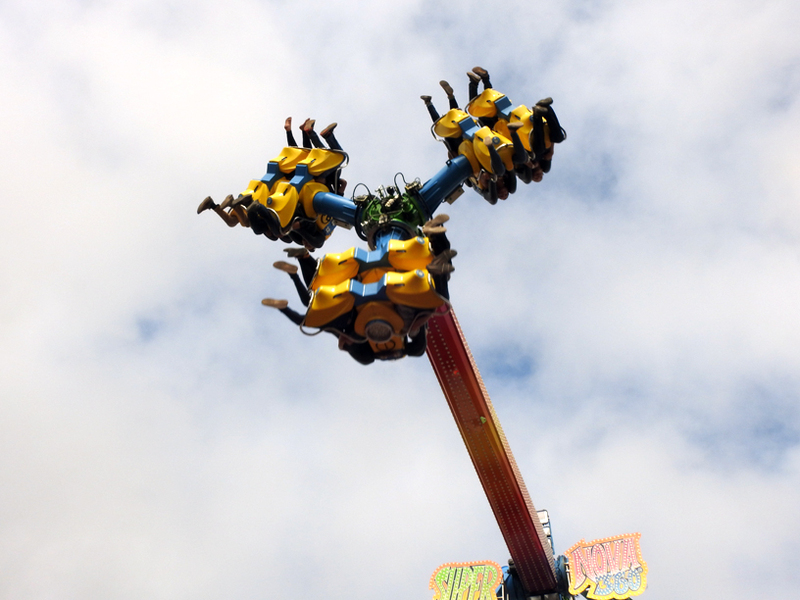 Garrett Neese/Daily Mining Gazette Above: Riders brave the Super Nova, one of numerous rides at the Houghton County Fair. 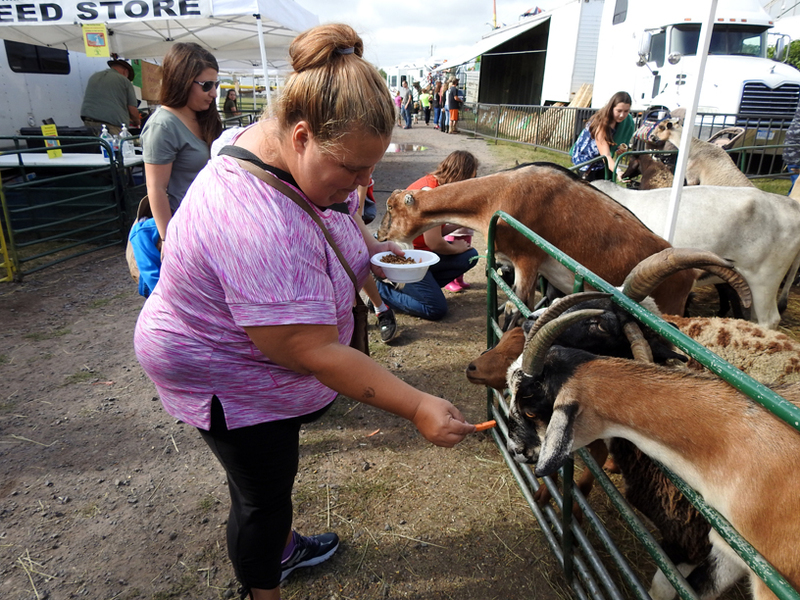 HANCOCK — After a soggy opening day, Houghton County residents packed the Houghton County Fair Saturday for rides, food, exhibits and a monster truck rally in the evening. Saturday had been “very busy,” said fair board member Carol Freeman, who was supervising the exhibit tent. Between youth and adult divisions, the number of entries were down about 100 this year, Freeman said. Garrett Neese/Daily Mining Gazette Tanya Voldarski of Hancock feeds animals at the Whispering Pines Mobile Zoo, one of the Houghton County Fair’s attractions. 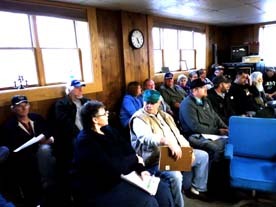 It was also an eventful year at the livestock auctions, Freeman said. One steer came in at more than 1,300 pounds. The midway was full of people playing carnival games or trying out the rides. Perhaps the longest line was for the Super Nova, a pendulum ride which spins cars in a circle while also whipping them above the crowd. Esther Hietala of Chassell came for Senior Citizen Day on Friday. On Saturday, she returned for people-watching and to see the animals. The county fair has stayed enjoyable for decades, she said. The closest thing she had to a bad memory was the year one of the rides turned her upside down, causing all the money in her pocket to fall out of the ride. Monster truck fans began clustering around the main event arena well before the 7:30 p.m. start time Saturday. 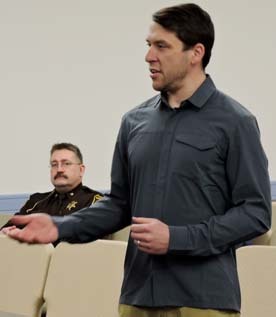 Gregg Stahl of Calumet also planned to return Sunday afternoon for the demolition derby. Elephant ears are his favorite of the fair foods, but for attractions overall, “the demolition derby is number one,” he said. Tanya Sadjak of Chassell was waiting with her son, Samuel. In addition to the rally, he also enjoys activities such as the bouncy house and climbing wall, as well as seeing animals.